How To Fix HP Printer Cartridge Problem ? When there is a printer cartridge problem, an error message will be displayed on your printer’s control panel and have to know how to fix HP Printer cartridge problem. You will not be able to print until this error message is cleared. If you see a flashing cartridge light meaning a bad color cartridge, a message saying that you have an incorrect ink cartridge or you are told to remove the black or the tri-color cartridge, you must fix HP Printer cartridge problems, reset the printer and remove the error before you can continue. Turn on the printer and open the cartridge access door. Remove the cartridge from their slots. Place the cartridges back in the carriage and close the cartridge access door. Turn the printer off for 60 seconds and then turn on the printer. Print a test page. If this does not correct the problem, move to the next step. Open the cover where the ink cartridge is located. Remove the cartridge from their holder. Use a clean, lint-free, dry cloth to gently wipe the contacts on the cartridges. Wipe the contacts from top to bottom. Do this for each contact. Place the cartridge back in into their respective slots and turn the printer off for a minute. Turn the HP printer on and print a test page. If this does not fix the fix HP Printer cartridge problems, move to the next step. Open the cartridge access cover and remove the cartridges. Close the cartridge access cover and disconnect the power cord from the outlet. Disconnect the cables that are connected to the computer or router. Wait for sixty seconds, plug in the power cord and then plug in the cables. Open the cartridge access door and install the black and color ink cartridges. Turn on the printer. Try to print a test page. If the problem still persists, buy new ink cartridges from the office supply store. Turn on your printer and unplug the power cord from the back of the printer. Plug the power cord back into the printer and then press and hold the Power button. Install the new cartridges into the printer and try to print a test page for how to fix HP Printer cartridge problem. How to fix hp envy printer cartridge problem ? When your printer is not printing black or color ink or prints only blank pages, you will have to clean the printhead. Manually clean the printhead only when the printer is out of warranty. Follow these steps to confirm that your printer is out of warranty and for how to fix HP Printer cartridge problem. 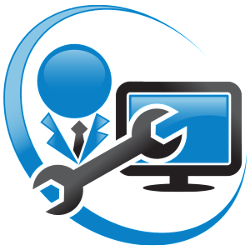 Open your browser and go to your printer manufacturer’s website to check the warranty. Type the printer’s serial number and product number in the text fields, then click Submit. Your printer’s warranty period will be displayed. Make sure that your printer is out of warranty before cleaning the printhead. You will need a disposable container and filtered water. Also gather a pair of disposable gloves, two lint-free cloths and paper towels to clean the printhead. Follow the below steps to soak the printhead in warm water. Stack paper towels in the bottom of the disposable container until it is 6.5 millimeters deep. Heat the water until it is warm, but not boiling. Do not use tap water, alcohol or other solvents because these might damage the printhead. When the water is warm, pour it into the container until it is two inches deep. Make sure the water covers the paper towels. Save the remaining water. Next, remove all ink cartridges from the printhead. Open the cartridge access door to fix HP Printer cartridge problems. Put on disposable gloves to prevent ink from transferring to your skin of clothes. Lay out a paper towel to set the ink cartridges on. Remove each cartridge by pressing the tab on the front and then pulling it up and out of its slot. Place the cartridges upside down on the paper towel. Repeat these steps until all the ink cartridges have been removed from the printhead. Remove the printhead from the printer and place it into the disposable container. Soak the printhead for ten minutes and then wipe the printhead using a paper towel. Reinstall the printhead and cartridges into the cartridge area. Close the cartridge access door. Load plain paper into the input tray and try to print a test page. If the problem persists, then service the printer and know how to fix HP Printer cartridge problem. How to fix hp Officejet and Officejet pro printer cartridge problem ? Open the ink cartridge access door and remove all the cartridges. After all the cartridges have been removed, follow the below steps for how to fix HP Printer cartridge problem and to remove the printhead. Lift the printhead latch, then lift the printhead directly upwards from its slot. Dampen a clean, lint-free cloth with filtered water and gently wipe away any excess ink on the printhead. Clean the bottom of the printhead. Be careful to not press into the nozzle area or force water into the printhead, since these can cause damage and to fix HP Printer cartridge problems. Continue to wipe the nozzle area until no ink transfers onto the cloth. Follow the below steps to soak the printhead. The printhead should be placed into the disposable container. The bottom of the printhead should rest on the paper towels. Soak the printhead for ten minutes. Remove the printhead from the container and set it on a paper towel with the nozzles facing up. Wait for fifteen minutes for the printhead to dry. Do not use compressed air or hair dryer to dry off the printhead; these methods can cause clogging and damage. 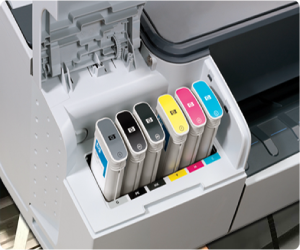 After the printhead is dry, return the printhead and ink cartridges to the printer carriage. Reinstall the printhead in the carriage and lower the latch handle to lock it into place. Using the color guides on the printhead, reinstall each ink cartridge. Press down the ink cartridge until it clicks into place. 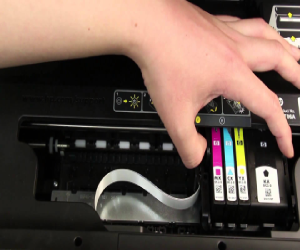 Close the cartridge access door to fix HP Printer cartridge problems. On your printer’s control panel, click Clean Printhead. The automated tool will clean the Printhead and a test page will be printed and get how to fix HP Printer cartridge problem. How to fix hp Deskjet printer cartridge problem ? If your printer stops printing, then check the estimated ink level. If the ink level is low, the Ink icon will start blinking or an error message will be displayed on your printer’s control panel. You will be able to check the estimated ink level on your printer’s control panel. If you find out that the cartridges are low on ink, then immediately replace them or buy another cartridge that can be replaced as soon as this cartridge drains out. If there are any blinking ink alert lights on your printer’s control panel, then replace any ink cartridge that is low or out of ink as indicated with genuine HP ink cartridges. First, power on the printer and open the ink cartridge access door to fix HP Printer cartridge problems. The carriage will move to the center of the printer. Wait until the printer stops making noise before you continue. Press down on the cartridge you need to replace to release it. Uninstall the empty cartridge from the cartridge area and keep it aside for recycling. Remove the new cartridge from its package and use the pull tab to remove the plastic tape from the cartridge. The ink nozzles or copper-colored contacts should not be touched. Touching these can result in clogs, ink failure and bad electrical connections. The replacement cartridge should be installed in its correct slot with how to fix HP Printer cartridge problem. The Tri-color cartridge should be inserted into the left slot and the black cartridge should be inserted into the right slot. When you are reinstalling the ink cartridges, make sure that it is inserted at an upward angle, then push the cartridge until it snaps into place. If necessary, replace the other cartridge as well for fix HP Printer cartridge problems. Close the ink cartridge access door. Load plain, white paper into the main input tray. On the printer control panel, press the Setup button. Select Clean Printhead and then press OK. The automated tool will clean the printhead. Your printer is now ready for regular use. Try to print a test page. How to fix hp laserjet and laserjet pro printer cartridge problem ? There are various cartridge issues that we might encounter each day. Some of these issues are: printer does not recognize a new cartridge, the ink level on the new cartridge shows that it is empty or less than 100% and error message that says that a new cartridge needs to be installed. This happens when the chips in the cartridge do not recognize the level of toner in the cartridges. We have different troubleshooting procedures for how to fix HP Printer cartridge problem. Please follow the below steps to fix HP Printer cartridge problems. Make sure that the cartridges installed in your printer are genuine. HP printers do not recognize the non-genuine cartridges as HP cartridges come with an inbuilt chip. If the cartridges are not properly inserted into their slot, an error message will be displayed that the cartridges are not inserted correctly. Turn on your printer and open the cartridge access door. Wait until the carriage becomes idle and then pull out the cartridges from their slots. Inspect if there are any ink smears around the cartridge and the cartridge slots. Use a damp, lint-free cloth and clean the copper contacts on the cartridge. Clean the contacts on the inside of the printer. Do not touch the nozzles or copper contacts and reinstall the cartridges carefully into the printer. Turn off your printer and disconnect the power cord from the rear of the product. Wait for 15 seconds and reconnect the printer. Reboot your computer and router. If you are still having issues with the cartridge, then replace the cartridge. Make sure that the packaging material is completely removed from the cartridge before reinstalling it. Check the printhead warranty status. If the printer is under warranty them replace the printhead assembly. If not, manually clean the printhead to fix HP Printer cartridge problems. Reset the ink level using HP Solution Center. Open the HP solution center and click the Estimated Ink level option. You will find an option to reset the ink level. Click Reset and the Ink Level will be reset. If you have tried all the above steps and your printer still has an issue and don’t know how to fix HP Printer cartridge problem, then service your printer.